Need Help Finding a Bail Agent in Las Vegas? Call Us Now! If a loved one has been arrested or is facing an arrest, it is important to have a reputable bail bondsman on your side from the very beginning. Express Bail Bonds is the well-known for being one of the most professional and reliable bail bonds (service) agencies in the state. Our knowledgeable and well-trained bail bondsmen are available 24/7 to help you get through the difficult experience. Our bail bondsmen are licensed and bonded and capable of posting bail anywhere in the state of Nevada. Whether you need us at noon or midnight, weekends or holidays, we are here to help. Our office is just a phone call away. Call 702-633-2245 today for the fastest, most efficient bail bonds service available. An arrest rarely occurs during business hours. In most cases, it blindsides you when you least expect it. Most of our clients don't have the money to post bail at their disposal. Covering the financial part of a bail bond can be extremely difficult, especially if the arrest takes place on a holiday or in the middle of the night. Our goal is to help you get through the process and keep your sanity at the same time. With our 24/7 availability, we can provide you with the service you need, no matter where you are or when you need us. We have developed a strong, working relationship with law enforcement agencies and court systems throughout the state. They know we are here to help and will often assist us in the process, making it easier on you to get your loved one back home where they belong. It isn't hard to hire a bail agent. The hard part is choosing the right one. That is how Express Bail Bonds simplifies the process. When you hire our bail bondsmen you get customer satisfaction at an affordable price. We will walk you through the entire process, answering your questions and making it easy for you to work your way through the system. The first step is calling our office. When we get your phone call, we will ask you for some basic information. 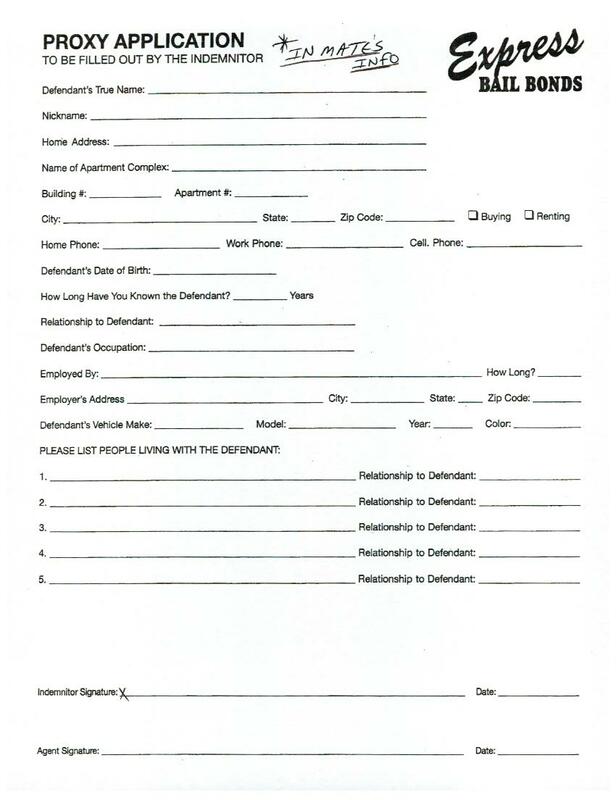 This normally includes the defendant's name, date of birth, address, place of employment, the charges placed against them and where they are being held. Once we have that information, we can begin the application process. The next step in the bail bonds process is securing payment. There is a 15% bail bond fee that is mandated by the state of Nevada. It cannot be negotiated and it is non-returnable. 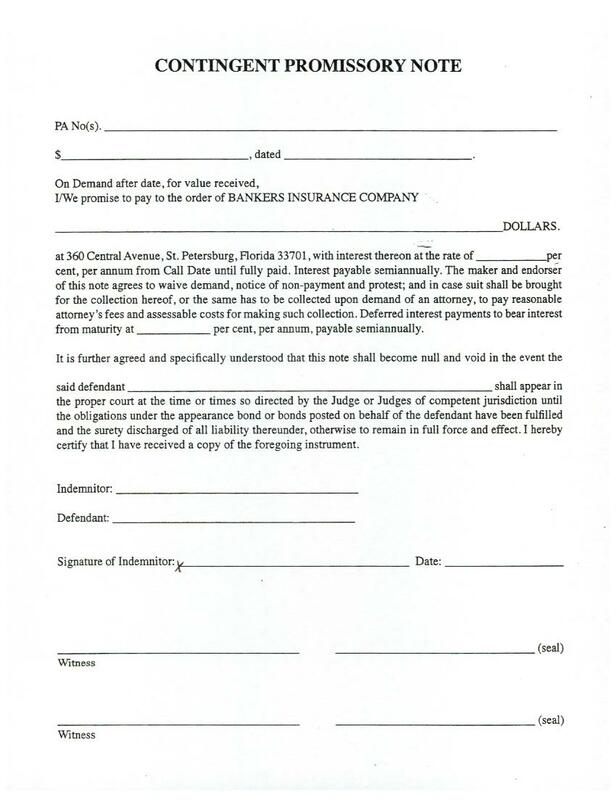 The fee is required by the state and must be paid at the time the bond is written. The bail bondsmen at Express Bail Bonds take several different forms of payment. With most bonds, the amount required is 15% of the total bail bond amount, plus any fees owed to the bail bonds service. 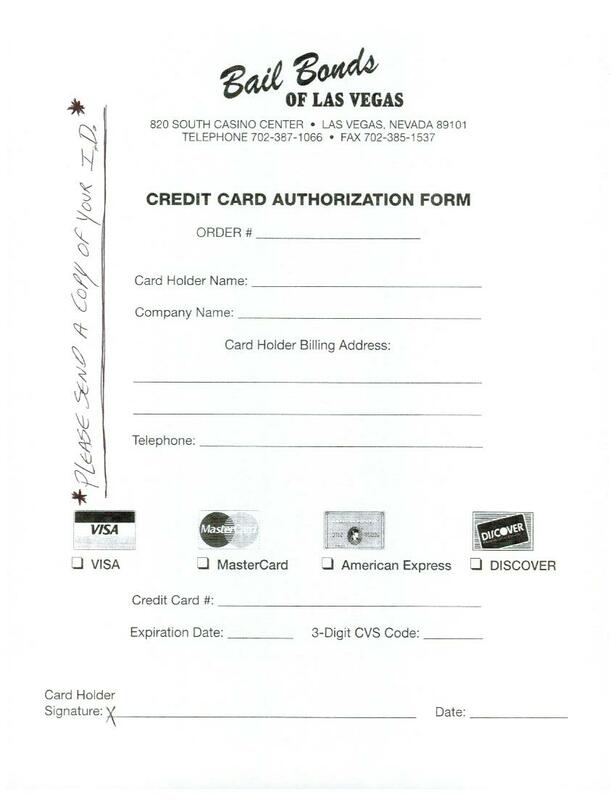 Our service accepts cash, credit/debit cards, money orders, cashier's check and various types of personal property. If property is used, the process may take a little longer, but will still be completed in about an hour. The value of the property being used must meet or exceed the total cost of the bond by at least 50% of the total value. 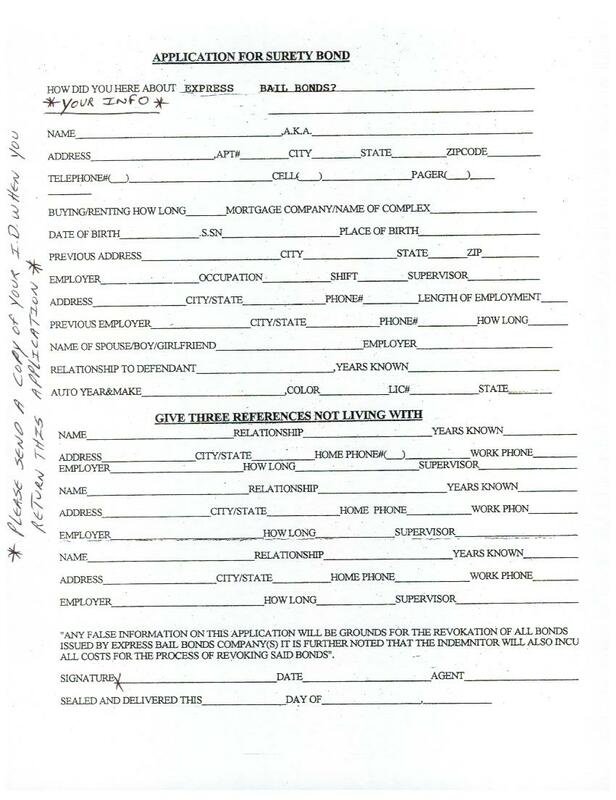 For example, a bail bond valued at $150,000 would have to be secured by property that is valued at $150,000 or more. The property must be owned free and clear. It is important to remember that no matter how the bail bond is secured, as a co-signer you are responsible for the entire amount of the defendant does not live up to their legal obligations. If they do not appear in court or follow the rules of the bail bond agreement, you will forfeit your bail money and be required to cover the rest of the bail bond amount. A bail bond is a written contract that guarantees the defendant will abide by the rules of the court and attend all scheduled court hearings pertaining to their case. The bail bondsmen will write up the contract, verify the value of any property being used for collateral and then verify the location of the defendant and verify the amount of the bail and what charges are pending against them. Once the contract has been signed, the bondsmen will head to the jail, post the bail and wait for the defendant to be released. The release process can take anywhere from 2 to 12 hours. The release time will depend on the size of the facility and how many staff members are on hand to help with the process. How Do I Pay A Bail Bond Company for Their Service? Different types of charges require different types of bail bonds. A weapons charge requires a weapons bail bond, just like an immigration case will require an immigration bail bond. Each type of bond has a specific set of requirements that must be agreed to by the defendant before they are allowed to post bail. Some types of bail bonds are more expensive than others. Most have specific stipulations that pertain to that type of case. When the bond is written, the bail bonds man will go over any fees that are included in the contract. 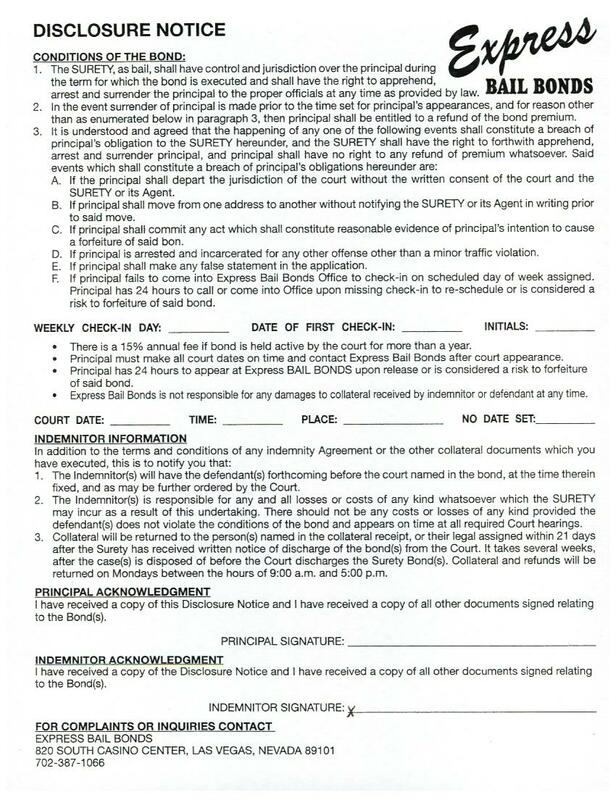 The state mandated 15% fee must be paid at the time the bail contract is written. This fee is required as an incentive to ensure the defendant will attend their scheduled court hearings as requested by the court. At Express Bail Bonds, your bail bondsman will explain the fees and process your payment. We take a variety of payment options that include cash, credit/debit cards, money orders, and property. We also will make payment arrangements for individuals who meet our requirements for credit. Eligible customers are those who have a stable income and are able to meet the criteria for our credit plans. As soon as your payment has been processed, our agent will be on their way to obtain your loved one's release from jail. At Express Bail Bonds, we understand the importance of being licensed and bonded. 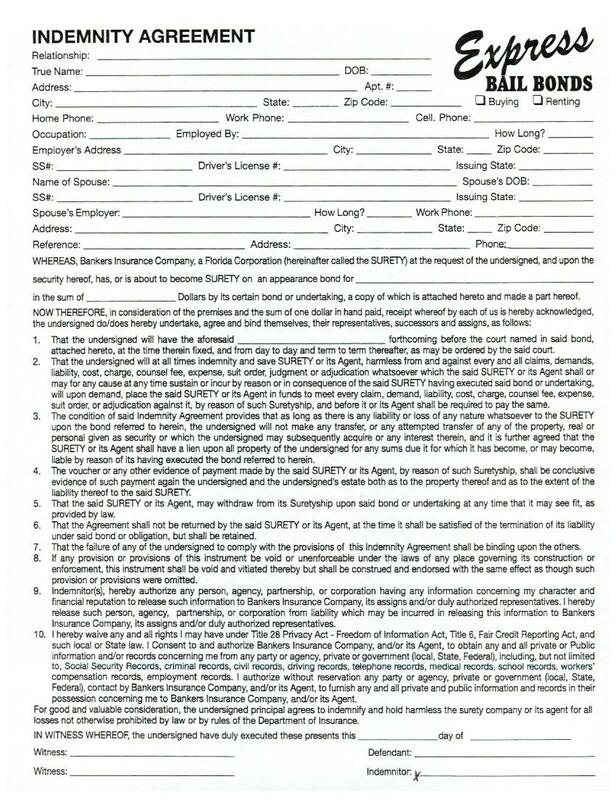 State licensing and bonding is a form of recognition that states the service has met or exceeded the requirements necessary to act as a bonding service in the state of Nevada. Our reputation is second to none and we make it a point to continually raise the bar when it comes to our quality of service. Our mans are highly trained and we go above and beyond what many of our clients expect. Maintaining our reputation is extremely important to us and we will take no chances when it comes to providing you with the best possible service. The licensing and bonding process in Las Vegas, Nevada is strict and our service exceeds the requirements needed to maintain our good standing as one of the top bail bond agencies in the state. It means we are supported by the state and have the backing of a reliable insurance service that allows us to help you get through a difficult time. Call Express Bail Bonds today at 702-633-2245 to learn how we feel about our clients. When clients call our office, they do so because they are in a bind. It is our job to make sure their questions are answered and they get the fastest, most professional service they deserve. Your ultimate satisfaction is our goal. Each of our cases is a priority and we will not let our clients down. Because of the working relationship we have established with law enforcement and the courts, we can provide quick and efficient bail bonds service in every city and town across the state. We make sure your loved one is in the best hands possible from the beginning of the process to the end. We Have the Bail Bond Answers You Need! We have the answers you need, when you need them. Our mans are available at a moment's notice. Whether you need to post a bail or just have a question about an existing case, you can call our office 24 hours a day to get the answers you need. Our goal is to provide you with the most accurate, up to date information possible. We know the law and can help to protect your rights during every step of the process. Our goal is to make sure that your loved one is treated fairly and with the respect they deserve. When you call our office at 702-633-2245, rest assured we will provide you with the most accurate information possible. In Las Vegas, Nevada, Express Bail Bonds is THE company to go to for the fastest, most efficient bail bond service in the state. Call our office at 702-633-2245 to speak to one of our licensed and bonded mans. We will go over the laws and make sure you know all of your rights and responsibilities. 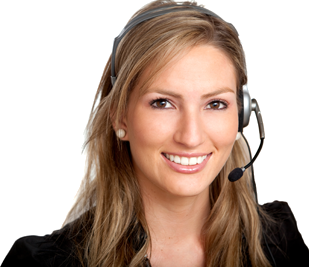 Our goal is to provide you with the best service possible, any time of day, any where you may be located. We will get the job done. Our mans are known throughout the state and have access to every jail. Our rapport with law enforcement agencies allows us to help you find the information you need to get the bail bond process started and your loved one home where they belong. Call Express Bail Bonds today for immediate service that is guaranteed to meet or exceed your expectations. We are here to help you make it through a difficult situation. You are our priority. Call us today at 702-633-2245. There are many different payment options working with our bail bonds service. Please feel free to contact us directly to see what options we have for your circumstance. Not all bails are treated equally, that is why it is important to speak to a licensed bail bonds service that can accommodate your situation.